Almost half the UK’s air ambulances were grounded after a fault was found on one of the aircraft. 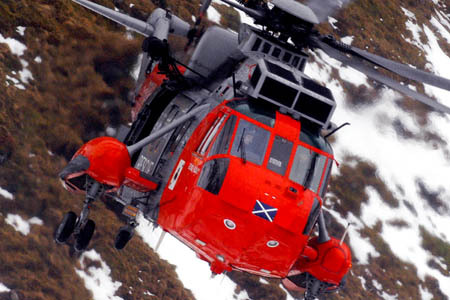 The move left Scotland without air ambulance cover as its two Eurocopter EC135 helicopters were put out of action. Authorities said emergency medical cover was being provided by search and rescue helicopters operated by the RAF, Royal Navy and Coastguard. The fault on the aircraft, the same model as that involved in the fatal Clutha Bar crash in Glasgow, is believed to involve fuel readouts and the grounding is viewed as a precautionary measure. 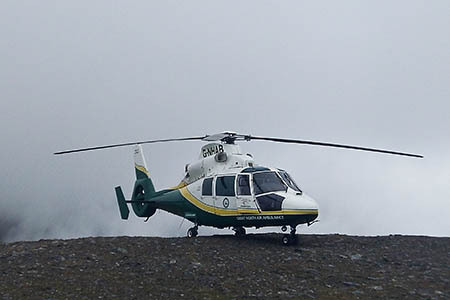 Air ambulances are regularly used to reach injured walkers and climbers in the mountains and countryside of Britain. The affected helicopters are operated by Bond Air Services on behalf of the charities responsible for the air ambulance services. As well as Scotland, areas affected by the suspension of flights were those covered by the North West Air Ambulance; the Midlands Air Ambulance, and the East Anglian Air Ambulance. Cover was provided by other air ambulance charities and rapid response road vehicles. The Great North Air Ambulance, which uses three Eurocopter Dauphin AS365 aircraft, rescued a crashed paraglider yesterday on the Old Man of Coniston. A Bond Air Services statement said: “During normal operations yesterday, one of our EC135 fleet has experienced an indication defect that requires further technical investigation. “Therefore as a precautionary measure we have temporarily suspended service operations while we undertake detailed diagnosis. Clive Dickin, national director of the Association of Air Ambulances, said: “The safety of the aircrew and general public is of primary importance and we are supporting Bond Air Services and Eurocopter who are working closely together to investigate and resolve the technical problem. “Aircraft of all types occasionally are grounded for bad weather or routine maintenance. Operators said they expected the grounding of the Eurocopter EC135s to short-lived.